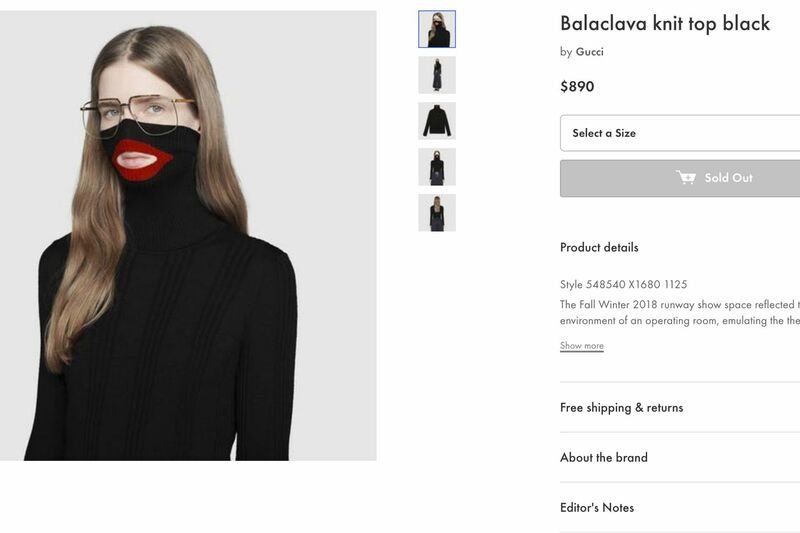 The latest instance of that was Italian fashion designer Gucci, which produced a black wool balaclava sweater with an oversize collar that pulls over the chin and nose. It includes a slit where the mouth is, ringed with what look like giant red lips. Its similarity to blackface prompted an instant backlash from the public and forced the company to apologize publicly late Wednesday. However, a long list of recent incidents have caused public outrage, suggesting that era is now gone or that luxury brands have lost touch with public sentiment. What used to be considered “creativity” has now turned into “bad taste” or even “racist,” he said. Dolce & Gabbana was forced to cancel its Shanghai runway show after the insulting remarks were publicized, top Asian influencers backed out of campaigns, and Chinese websites dropped their line — a warning sign from a region responsible for 30 percent of all global luxury sales. Italian sociologist Michele Sorice at Rome’s Luiss university says that the evocation of blackface by Italian fashion houses signals “a mixture of good faith and ignorance.” He noted that Italian society still wasn’t fully aware of the racial charge in some words and images. While the fashion world has been at the forefront of addressing sexual norms — Gucci has been redefining genderless dress codes under Alessandro Michele — it has lagged behind other industries in taking on social issues such as racial tolerance, climate change, or women’s empowerment, according to Larry Chiagouris, a marketing professor at Pace University. Nicole Winfield contributed to this article.